Video: Telekinesis covers Justin Bieber's "Baby"
New music from East River Pipe - "Cold Ground"
New music video from Arcade Fire - "The Suburbs"
New music from Birds of Avalon - "Invasion"
Southern Rescue Trails is two parts rock, one part pop and half parts country and electronic filtered through fuzz and North Elementary blends all of these elements expertly. The band moves between styles so fluidly, it’s often hard to tell where one begins and another ends. Every song has a dominant style, but pieces of other styles are woven in throughout. This makes transitions between contrasting songs less jarring and almost expected. For instance, the beat-focused “Sharp Ghost Mind” leads into the country ballad “Southern Elevators” which in turn leads to the grinding, guitar driven “War for Kicks.” This three song sequence could be incredibly awkward, but the genre-meld created by North Elementary makes it feel natural. Lead singer Harrison John’s dry, scratchy vocals match the texture of fuzz which often makes the lyrics hard to understand. What comes through doesn’t always make sense (“Let us taste the sun/ until we’re done”), but the added imagery rounds the songs out. 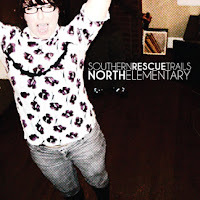 North Elementary saves the best for last with “Hillcrest 101.” The mix of easy going pop with steel guitar transitioning into second half guitar frenzy is a great example of what the band does well. There are many layers in the journey from the shrill opening chord to its ending quiet flute sustain and jaunty guitar lick and listeners are sure to lose themselves at least once in Southern Rescue Trails’ very full 35 minutes. North Elementary will be playing at Motorco Music Hall during the Trokia Music Festival on Friday, November 5 at 8 p.m.